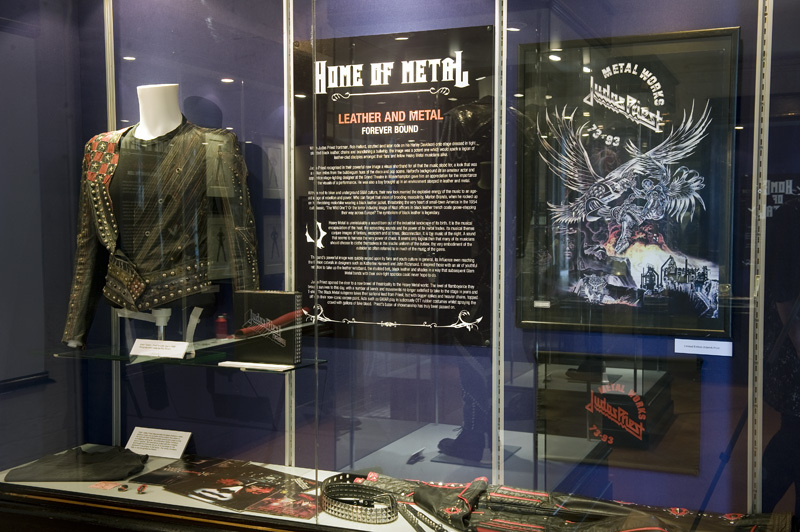 Home of Metal – an exhibition exploring 40 years of Heavy Metal and its birthplace. This exhibition at the prestigious Birmingham Museum and Art Gallery, from the 18 June-25 September is informed by original band artefacts and materials from the Home of Metal digital archive, the show is the first metal exhibition of its kind, bringing together unseen memorabilia sourced directly from the fans themselves, and placing it alongside iconic items from metal such as Black Sabbath?s Mob Rules stage cross and original Judas Priest album artwork and costumes. The show will also explore the ingredients that together made Heavy Metal, offering an insight into the region?s industrial history, the early blues-rocks sound, the changing music industry, DIY politics and the global impact of the Heavy Metal. 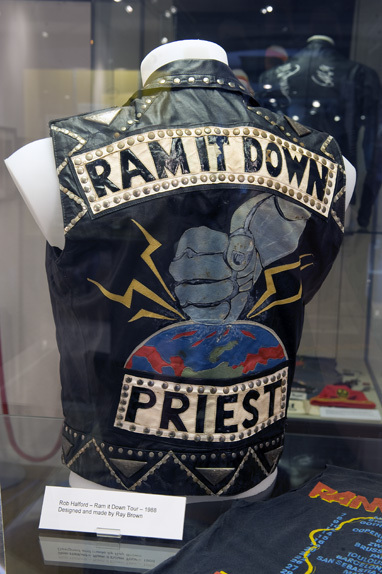 Walsall Leather Museum will be displaying stage costumes worn by local heroes of the Heavy Metal scene as part of the exhibition Hell Bent for Leather: Judas Priest and the Heavy Metal Look. This will be a rare opportunity to see costumes from the band's private collection, original artwork by Mark Wilkinson and costume designs by Ray Brown.